I’d like a slice of this big enough to be a pillow. I’d fall sleep right away! 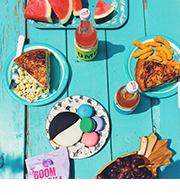 I’d wake up snacking. You see this bread is the softest. 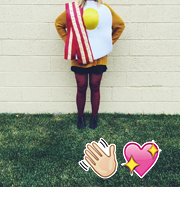 Perfect for the savoriest of sandwiches or the toastiest of toasts. And I can’t stop with Call Me Maybe jokes… like for this bread it’d be: I baked some bread, and this is crazy, but I’d like to marry it, so let’s go to the courthouse maybe. So believe it! I love it. And somehow just one clove of garlic turns this entire loaf into a garlicky anti-vampire dream. And the rosemary keeps it freckled and delicious. In a large bowl, or the bowl of your stand mixer, combine water, sugar, and yeast. Set aside to proof for 10 minutes. Stir in the salt, garlic, rosemary, pepper, olive oil and all-purpose flour. Add 1/2 cup bread flour and mix until dough comes together. Add more flour as kneaded (ha!) until manageable. Knead in your mixer using the dough hook or on a lightly floured surface until smooth. Place in a lightly greased bowl, turning once to coat. Set aside in a warm place for an hour or until double in size. Punch down dough and form into a round loaf. Place on a corn meal sprinkled piece of parchment paper on a cutting board or pizza peal. Cover and set aside to rise for 45 minutes. Meanwhile, preheat your oven and a pizza stone to 400F. 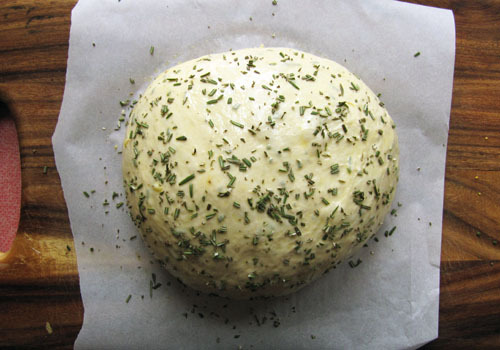 Once the loaf has risen, brush it with the egg wash and sprinkle generously with rosemary. Transfer loaf to the pizza stone and bake for 20-35 minutes until top is golden and sounds hollow when tapped. Yay! Click HERE for a printable version of the recipe above. I’d sleep on that bread pillow! Yeah girl! I’m going to get rosemarried to it! Bread is my weakness too! Can’t get enough! <3! omg. today’s my birthday, and instead of cake, I just want THIS!! yummmmmmmmmm. I saw you pinned this on Pinterest and found it intriguing. 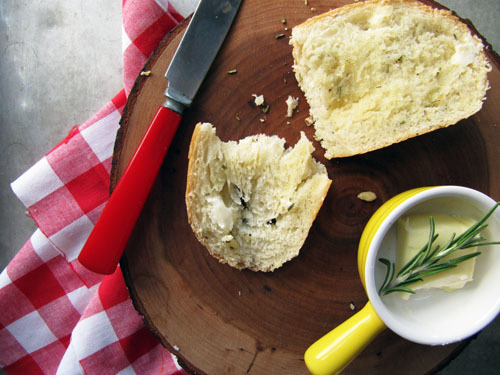 I’m going to have to give it a try, as I love bread, rosemary, and garlic. Sounds like a winner! Yeah girl! You’d love it. You know how to make a girl’s carb dreams come true! A bread pillow is the best idea ever. Made this today and it turned out so well! I used 1/2 cup of white whole wheat flour in place of some of the all purpose flour. I don’t have a pizza stone, but it turned out fine on a baking sheet. Really soft and flavorful, I’ll definitely be making this again! Mm this looks amazing. My only change would be to use roasted garlic…my favorite! This looks so amazing as is though, I just want to grab a hunk and slather it with butter. Mmm! 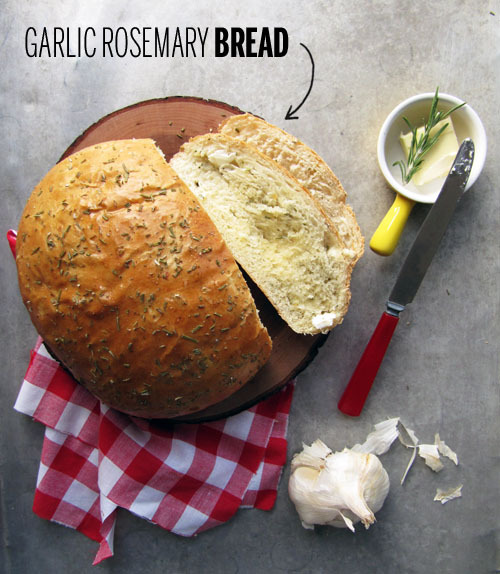 I’m making this now, wow the smell of garlic and rosemary is filling the house !!!!! do you have to use a pizza stone? no, but you totally have to bake it longer if you don’t.